Tag Heuer has added a new smartwatch in its selection with the launch of the TAG Heuer Connected Modular 45 Golf Edition. As the name suggests, the TAG Heuer Connected Modular 45 Golf Edition is designed for golfers and comes with a Tag Heuer Golf app and more. In line with its tradition of avant-garde watchmaking, in 2015, TAG Heuer became the first brand to develop and commercialize a trend-setting, fully functional smartwatch. After the introduction of the second generation in 2017, the Swiss watchmaker combines his passion for sports and innovation with his interest in the world's first individual sport. The TAG Heuer Connected Modular 45 "Golf Edition" and the unique 3D course planning available with the TAG Heuer Golf app are essential for all golfers. 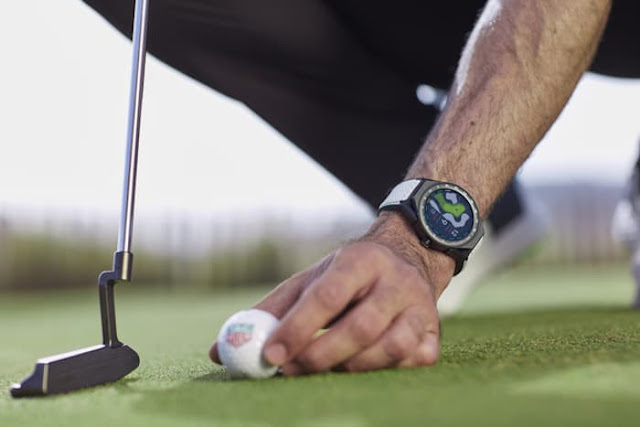 TAG Heuer Project Manager Matthieu Soudan says: "TAG Heuer Connected Modular 45 'Golf Edition" was designed specifically for golfers and anyone who is fascinated by the sport. Every aspect of the smartwatch and app - from design to feature - was created to improve the player's game. Outside the course, the watch is a stylish accessory with state-of-the-art digital technology. It is important to point out that it is primarily a connected clock, which means that the Golf app is just one of many other programs and features that can be used with the clock. Click on the below link to know more about this gadget.